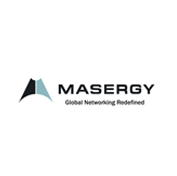 Masergy Communications - Exponential-e Ltd.
Masergy and Exponential-e partnership empowers global carrier to deliver cost savings through end-to-end SLAs and Quality of Service guarantees. Built from the ground up to support real-time converged business applications, MASERGY provides managed, secure, virtualised network services to enterprises that have complex needs across multiple locations. Our integrated network and software solutions enable our customers to seamlessly deploy and manage IT applications such as video, voice and data, on a global basis.